Unfortunately, your registration has been declined by the auctioneer. You can contact the auctioneer on 01925 658833 for more information. You are the current highest bidder! To be sure to win, log in for the live auction broadcast on 20 Feb 2019 09:00 GMT or increase your max bid. All of our postage is offered in house. Please contact our Office on 01925 658833 to discuss costs. Our postage charges start from £12.00 plus VAT. All Items are sent Parcelforce 48 hour to the name and address registered on the-saleroom.com. Please be advised that we do not pack for couriers. We are happy to provide postage quotes prior to the auction. All items should be paid for and collected by 5pm on the Monday after the sale, for alternative collection including Saturday you must speak with the Office before 4pm on the Friday following the sale. For any items not collected by 5pm on the Monday there is a storage charge of £5 per lot per day. STORAGE CHARGES WILL NOT BE WAIVED. You will receive a payment request through the-saleroom following the sale. All payments must be made by this means unless you pay on collection. We will not take card payments over the telephone. "Auctioneer" means Warrington Auction Limited of 551 Europa Boulevard Westbrook Warrington WA5 7TP. “Seller" means person or persons named on the Schedule hereto. Where the Seller comprises two or more persons, the singular used in these Conditions shall include the plural and any obligations on the part of the Seller will be joint and several. “Goods" means the goods identified on the Schedule hereto. “Reserve" means the lowest price at which the Auctioneers are authorised to sell the Goods being stipulated in the Schedule hereto. Auctioneers discretion of 10% will be used where a reserve which is not fixed has been agreed. 6. The Auctioneers are authorised to sell the Goods on the basis that they are sold as seen with all faults imperfections and errors of description and further upon terms that the Auctioneers exclude for themselves and for the Seller all responsibility for errors of description or for the genuineness or authenticity of the Goods or any part or parts thereof for any default or defect in the Goods howsoever caused. All buyers are responsible for establishing the genuineness or authenticity of goods offered for sale for themselves and are strongly advised to view items in person. Although every effort is taken in the writing of condition reports they are a personal opinion and are not to be regarded as binding, no liability will be accepted for any discrepancies in condition, weights or measurements. The Auctioneers as agents for the Seller are not authorised to give any warranty in respect of the Goods or any part thereof and the Auctioneer should exclude any and every implied condition or warranty relating to the Goods otherwise except the warranty as to title implied under Section 12 of The Sale of Goods Act 1979. 8.d- Any claim by a Buyer shall be limited to any amount paid in respect of the Lot and shall not extend to any consequential loss suffered by him as a result of the Lot being a deliberate forgery. 8.e - The benefit of this Condition shall not be assignable and shall only extend to the Buyer, being the person to whom the original invoice was made out by the relevant auction house in respect of the Lot when sold and who has since the sale retained uninterrupted, unencumbered ownership of that Lot. 9. The Goods shall be put up for sale without Reserve unless either the Auctioneers are notified by the Seller at least 48 hours prior to any sale of the Goods or any part or parts thereof of a Reserve or a Reserve is entered in the Schedule hereto. 10. The Auctioneers authority to sell shall be revoked provided the Seller notifies the Auctioneers not less than 24 hours prior to the sale that the Goods are to be withdrawn from sale. The Seller shall pay to the Auctioneer prior to return of the Goods to the Seller following such withdrawal a charge of thirty five percent (35%) of the Reserve or, in the absence of a Reserve by reference to a mid estimate price reasonably fixed by the Auctioneer at the date of the sale from which the Goods are withdrawn, this is subject to a minimum withdrawal charge of £20 plus VAT. The application, or increase, of a reserve by the seller after acceptance shall be treated as a withdrawal. 12. If the Goods remain unsold after any Auction, the Auctioneers shall be authorised to sell the Goods at the next appropriate sale unless otherwise instructed by the Seller that the Goods are withdrawn under Condition 9, by no later than the Tuesday following the sale. If the Goods remain unsold after any Auction, the Auctioneers reserve the right to re-enter the Goods at the next appropriate sale or dispose of any items not promptly collected within five days of sale by the Seller, items must be collected by the Tuesday following the sale. Any goods unsold, not collected by the seller within five days of the auction date will be entered into the next available sale with no reserve and the proceeds given to a registered charity, unless other arrangements have been made with the auction . 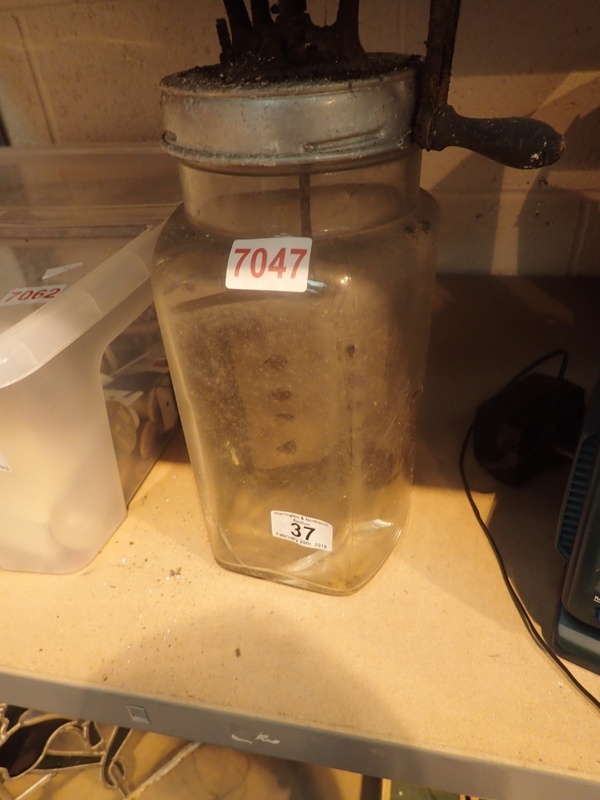 The auctioneers are under no obligation to contact either the seller or buyer of any goods to inform them of the results of a sale and vendors and purchasers are advised to contact the saleroom on the day after the relevant sale or to check on line. 17. The Auctioneers have the Seller's authority to divide any lot, combine any two or more lots from the same Seller or to withdraw any lot or lots from the sale. The auctioneer reserves the right to offer for sale any item at any premises he deems most appropriate. 18. The seller shall pay the auctioneers a commission of 15% plus VAT with a lotting fee of £3.00 plus VAT per lot, of the sum realised for the goods (or any other such rate as may be fixed by the auctioneers as the prevailing rate on the date of the sale). There are no insurance fees, picture fees or internet fees. 20. Provided the Auctioneers have been duly paid by the Buyer and subject to Condition 22 the Auctioneers shall pay the Seller the net proceeds of sale less any sum due to the Auctioneers from the Seller less any costs authorised in Condition 22 four weeks from the date of the sale when paid by credit transfer, in all cases payment by cheque will be at 28 days, cash payments are not available unless in exceptional circumstances as agreed with the auction house. The Auctioneers act as the Sellers agents and are not liable to the Seller for any default by the Buyer. 21. The Auctioneers are authorised not to credit the Sellers account if the Buyer has exercised his rights to return the Goods to the Auctioneers under Condition 8 of the Auctioneers Conditions of Sale by auction. For the purposes of that Condition 8 the Seller authorised the Auctioneer, subject to the Seller's right of reimbursement from the Buyer, to consult any expert at the Seller's expense and the Seller shall pay to the Auctioneers on demand such sum as the Auctioneers may reasonably require by way of payment in advance of such costs. 24. The Seller undertakes to notify the Auctioneers of any change of address, contact telephone number and e-mail address. 26. Unless other arrangements have been agreed with the sale room. If the Goods are left in the Auctioneers possession for five days after any sale date, the Monday following the Wednesday sale or Tuesday for the Sunday Timed Sale, the Auctioneers retain the right to charge £5 per lot per day for storage and are authorised by the Seller to sell the Goods at their discretion after 10 days, Saturday, to defray costs and storage charges. 27. (a) Unless otherwise instructed in writing all Goods on the Auctioneers premises and in their custody will be insured against the risks of fire burglary and water damage (but not against accidental breakage or damage). 28. The Auctioneers are authorised by the Seller to charge the Buyer a premium at the rate of 20% plus VAT of the hammer price of each lot with a £3 plus VAT minimum charge. 29. Purchasers of any item must pay in full within 24 hours and collect item within five days of a Wednesday sale and within 24 hours of a Timed Sale. Any one failing to do so will be charged £5 per lot per day. Any item remaining in the auction house 10 days after the sale will be regarded as unrequired by the buyer, whether paid for or not, and will be re-entered into sale to defray any outstanding costs and storage, any monies remaining will be forwarded to the customer. Unless alternative written arrangements have been agreed with the auction house, or postage has been arranged and payment completed. 30. Any damage to any item caused by viewing, inspection or any other reason will be considered as a sale to the viewer, payable at mid estimate price plus auction house commissions. This payment will be completed before vacating the auction room. 32. These Conditions shall be governed by and construed in accordance with English Law. The Sale of Goods Act 1979 and Consumer Rights Act 2015 does not apply to these sales. All transactions to which these Conditions apply and all connected matters shall also be governed by English Law.